Updated: re-wrote the post with more details. fixed typo. Sony today announced two new additions to the Xperia NXT series, the Xperia P and Xperia U. The P and U join the S, which was announced at CES earlier this year. All three phones incorporate the Xperia user interface and have access to the Sony Entertainment Network. The phones are all PlayStation Certified for gaming and have the translucent bar for notifications. 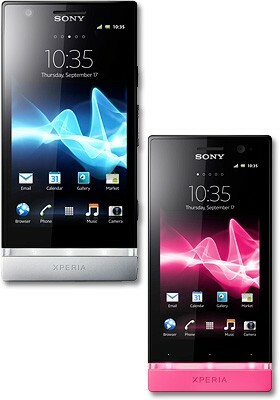 Xperia P: The P is a step down spec-wise when compared to the Xperia S. It has a 4.0-inch Reality Display with Sony's BRAVIA Engine and WhiteMagic, a new display technology for an ultra-bright and power efficient viewing experience. It also has a 1GHz dual-core processor, 16GB of storage, 8-megapixel camera with HD video recording, NFC (near field Communications). Xperia U: The Xperia U is a lower spec phone for lower price points. It has a 3.5-inch Reality Display with BRAVIA Engine, 1GHz dual-core processor, and 5-megapixel camera HD video recording. It also has "xLoud" stereo sound. Both phones launch with Android 2.3 Gingerbread, but will be updated to Android 4.0 during the second quarter. Sony today announced the Xperia S, a new Android smartphone that is among the first wave of products to lose the Sony Ericsson branding. The Xperia S is similar to the Xperia Ion announced earlier today. Did they explain why It's not in the USA? or when they might have it available in the US? Sony needs to have a bigger prescence in the U.S.! Especially Verizon. I like Sony's hardware, it's nice looking!